Obituary for Elaine D. (Manasek) Burbridge | Bermingham Funeral Home, Inc. 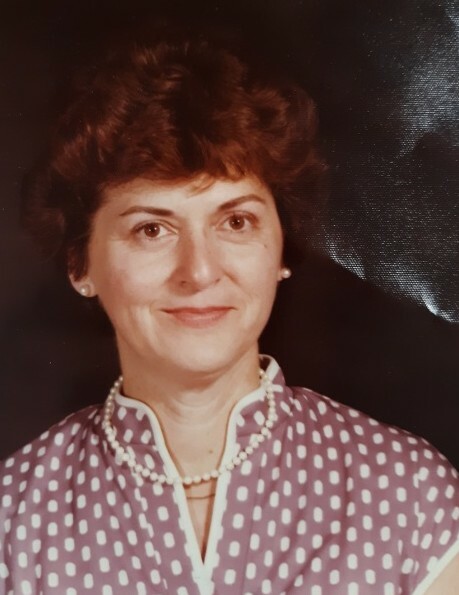 Mine Hill: Elaine D. (Manasek) Burbridge, 90, passed away peacefully on Thursday, April 4, 2019 at her home in the Dominican Republic. She was a loving wife, mother, grandmother and great-grandmother. Elaine was born in the Bronx, NY on October 28, 1928 to the late Joseph & Lucy (Venter) Manasek. Mrs. Burbridge spent her early years in New York until her family moved to Mine Hill in the 1940’s. She graduated from Christopher Columbus High School in 1946. She worked for Bell Telephone and then was a Mine Hill Police Officer. While working and raising four sons, she went back to school and graduated from William Paterson College with a degree in teaching. She then went on and received her Master’s Degree from Fairleigh Dickinson University. She taught at St. Mary’s School in Wharton, the Stanhope School District and the Mount Olive School District. Joseph Burbridge and wife Cindy of Dover. James Burbridge and his wife Joan of East Greenwich, R.I.
Thomas Burbridge and his wife Nancy of Randolph. Patrick Burbridge of Mine Hill. Ryan, Conor, Michael and his wife Georgia, Timothy, Courtney, Bryan, Emily, Matthew & Griffin. Olivia, Sophia, Dylan, Kaden & Kayla. She also leaves behind her devoted caregiver, Somena and her much loved dogs, Blanca & Coco. Visitation will be held 4 to 8pm on Wednesday, April 17, 2019 at the Bermingham Funeral Home, 216 S. Main St., Wharton. A funeral service will be held Thursday 10am at St. Mary’s Church, Wharton.